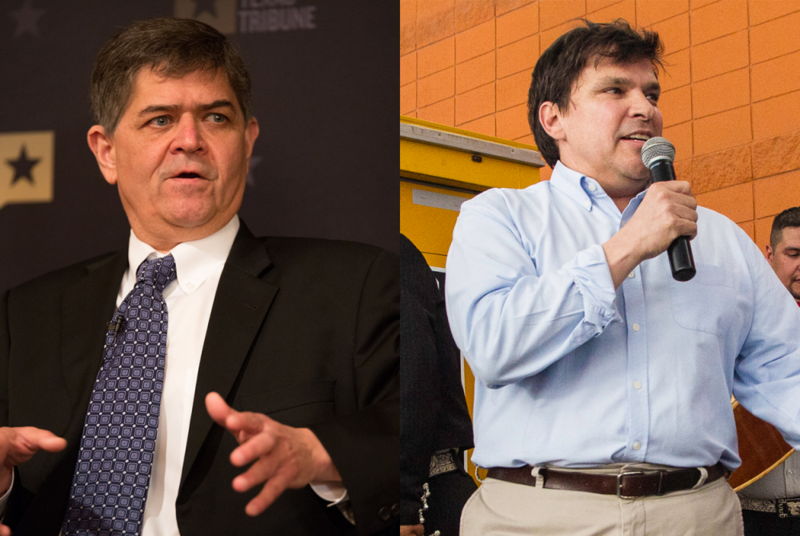 U.S. Reps. Filemon Vela, D-Brownsville, and Vincente Gonzalez, D-McAllen. Thanks to the support of two Texas Democrats, a bipartisan coalition of members of the U.S. House is on the cusp of bypassing House Speaker Paul Ryan and moving major immigration bills to the chamber’s floor. On Tuesday morning, two Democrats who represent the Texas border – U.S. Reps. Vicente Gonzalez of McAllen and Filemon Vela of Brownsville – announced they would sign onto an arcane legislative petition that was originally spearheaded by another border member, U.S. Rep. Will Hurd, a Republican from Helotes. Last month, Hurd and a handful of other House Republicans, frustrated by the lack of movement on immigration, initiated an obscure legislative tactic called a discharge petition in an attempt to bypass their chamber’s committees and House GOP leadership. 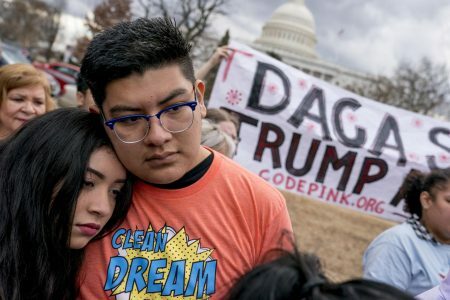 The petition would force a series of votes on several bills that address immigration issues, including the legal status of “Dreamers” — young undocumented immigrants who came to the country as minors and have been granted reprieve from deportation and two-year work permits under the Obama-era Deferred Action for Childhood Arrivals, or DACA, program. The discharge petition quickly gained dozens of backers, including most House Democrats. Three Texas Democrats representing the border – Gonzalez, Vela and U.S. Rep. Henry Cuellar of Laredo – withheld their support from the petition, citing concerns that it could lead to legislation passing that would clear the way for the constuction of a border wall. Cuellar has not changed his position. With Vela and Gonzalez signing on, the petition’s tally grows to 215 names, just three short of the 218 needed to force votes on the U.S. House floor. Hurd is the only Texas Republican to sign on. 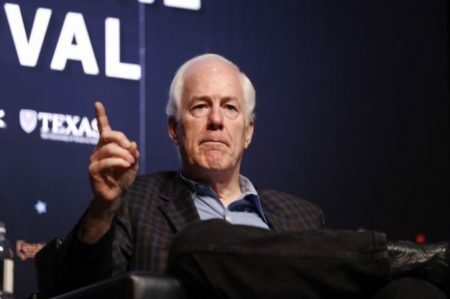 The initial group pushing for the the petition was made up of just Republicans – mostly members like Hurd, who are from diverse districts and are in tough re-election battles, and other Republicans who are retiring. In the following weeks, most members of the Democratic caucus followed suit and signed the petition, allowing the coalition to close in on a majority of the chamber. Capitol Hill is bracing for a conservative backlash to the tactic. Immigration is the most contentious issue within the GOP conference and a floor vote on these measures – which include a hardline approach to Democratic-favored policies – is sure to pit the conservative wing of the House Republican conference, known as the Freedom Caucus, against members like Hurd. That’s put the chamber’s Republican leadership in the crosshairs of a deeply divided conference. GOP members are scheduled to meet Thursday morning to address the issue.